Energy Suspension provides grease to install these parts, but you can never have too much. Grab an extra 3-pack of grease so you can more liberally apply grease when installing. 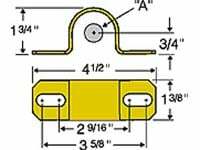 Improved handling, low cost, and easy installation are just some of the reasons these components are so popular! 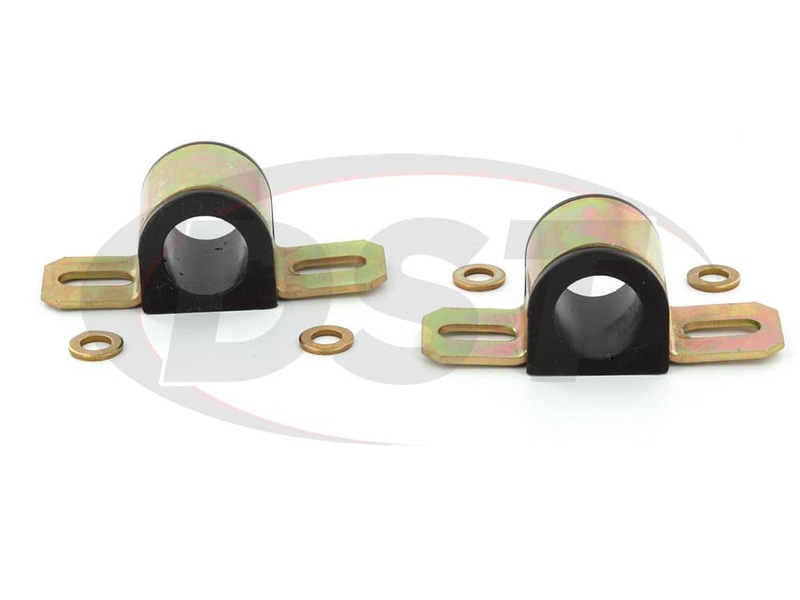 Your vehicle's sway bar system will work at its maximum efficiency! Replaces that original, short lived and too-soft rubber. Easy to install with basic tools. Made of rugged Energy's HYPERFLEX performance polyurethane material and the hardware is heavy duty for lasting durability. 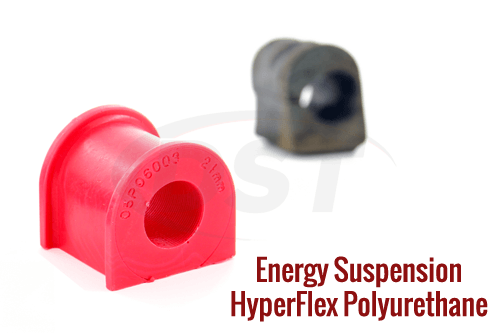 Energy Suspension Hyperflex Sway Bar bushings are made of polyurethane, which is a much more durable material for suspension bushings than rubber. Polyurethane does not break down due to road grime, weather or oils the way the rubber can. 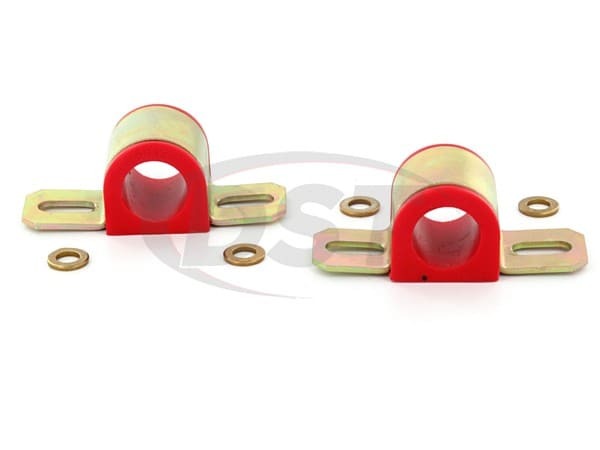 Have the peace of mind knowing you have a long lasting part on your sway bar with Energy Suspension's sway bar bushings. 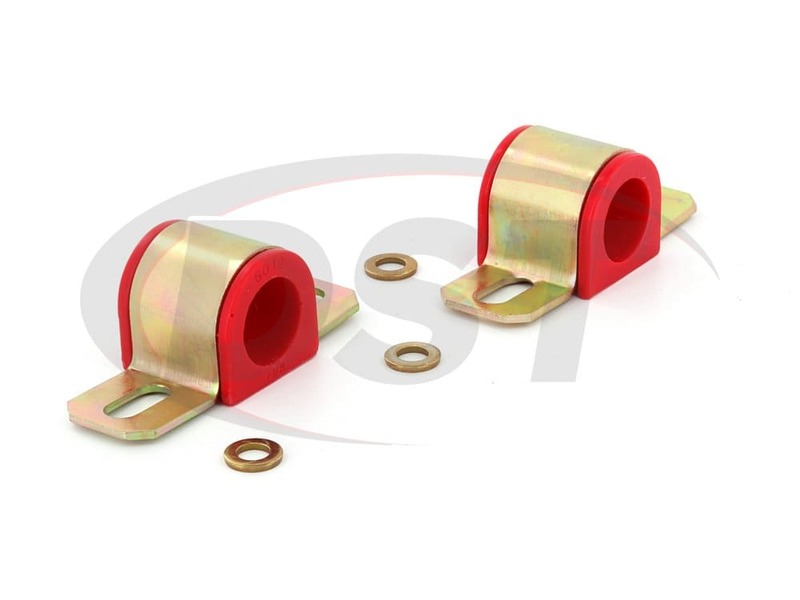 Energy Suspension's polyurethane sway bar bushings provide a secure grip on the sway bar and do not warp over time. 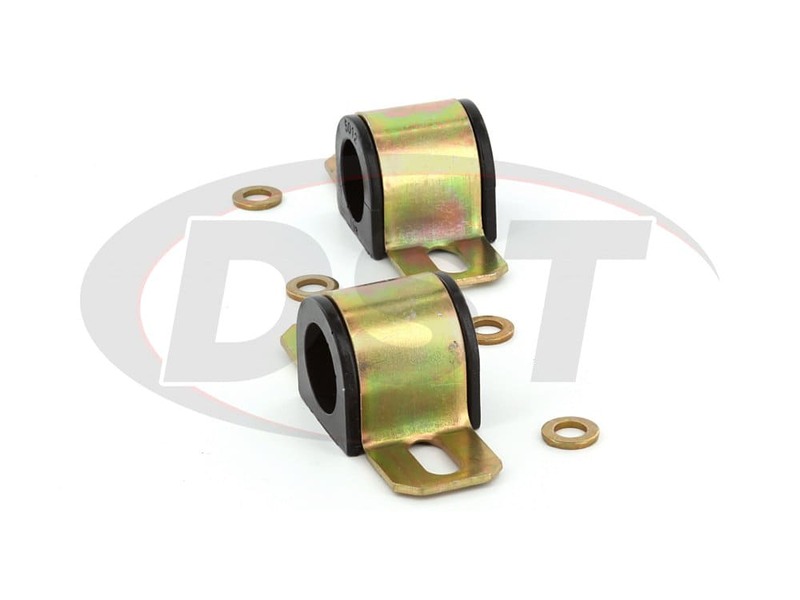 With this snug grip, your vehicle will see a performance boost similar to installing a larger sway bar. 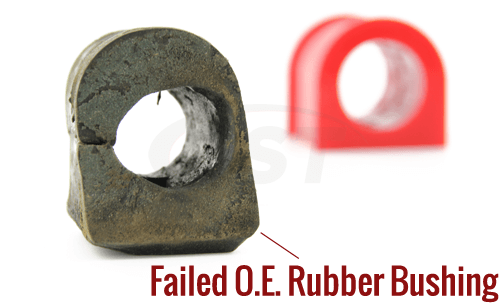 The sway bar bushing sees a lot of action, so make sure you grease it well with Energy Suspension's own Formula 5 Bushing Lubricant. Using plenty of grease is the best way to ensure a long lasting part without any squeaking. If you'd like some extra grease just in case, pick up an extra 3 pack or an 8 ounce tube. starstarstarstarstar" everything was fine except....... "
Great material that doesn't break down. I miss measured the size I needed and ended up 1/16th too big. No problem, I see no signs of wear damage and its been on for months. starstarstarstarstar" Nice product, performs as advertised "
Nice product, performs as advertised. Quick ship. 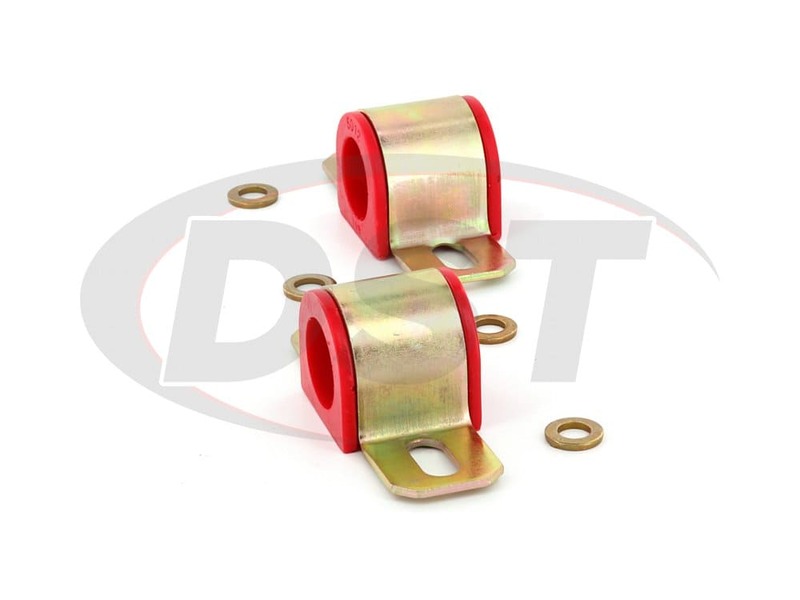 Energy Suspension makes parts in 2 colors. Red and Black. The only difference between the red and black parts is that most Black Energy Suspension parts are Graphite Impregnated. This serves to help self lubricate the bushings.  The Red parts do not have this characteristic. Aside from the actual color and the lack of being Graphite Impregnated - the red parts are essentially the same as the black. I thought that the RED parts were harder and more performance oriented? This is a common misconception. The red parts have the same durometer (hardness) as the Black parts and differ only in their actual appearance (color) and the fact that they're NOT graphite impregnated like the Black parts. Why do people buy the red parts when they're not Graphite Impregnated like the Black parts? In the end this is really because some people simplylike the color Red more than Black. I thought Energy Suspension Made parts in Yellow and Blue as well? Unfortunately Energy Suspension stopped producing these colors a long time ago and they are no longer available on the market. Energy Suspension offers a 2 year warranty for every part they make. But we know the quality of these parts deserves the peace of mind that a Lifetime Warranty provides. Exclusively for DST customers, we offer a FREE upgrade to a Lifetime Warranty handled directly thru us. No strings, no hassles, no receipts needed. See all the details on this exclusive Energy Suspension Lifetime Warranty.